Architect John Cecil Turnbull Warren (86) was as happy using his remarkable skills and insights for the refurbishment of West Burton CofE School as he was restoring the Royal Crescent in Bath, advising on the conservation of the Al Gaylani Mosque in Iraq or as an UNESCO World Heritage inspector advising on the suitability of a site for the Terracotta Army in China. 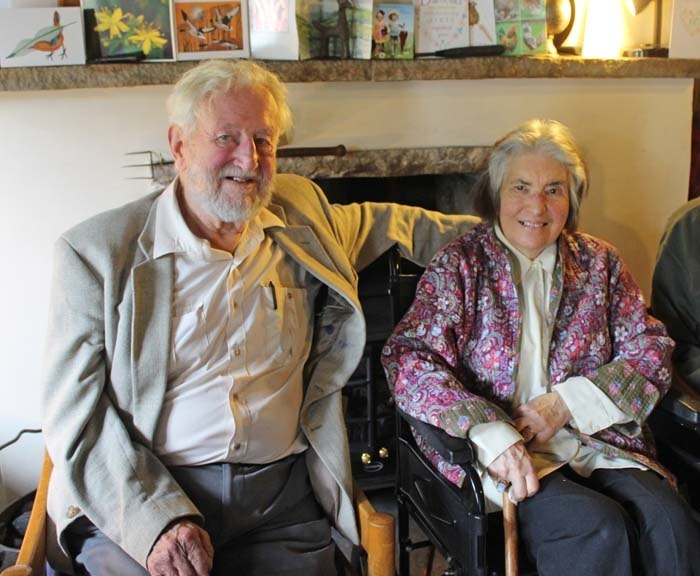 John was a modest man who will be remembered for welcoming everybody to Quaker meetings at Countersett and Bainbridge, where he served as an Elder, Trustee and on the Council of the Wensleydale Friends. So it was no surprise that the Friends’ Meeting House in Bainbridge was packed for his memorial service. He was born in Surrey, attended Collyers’Grammar School in Sussex, and won a scholarship from the National Coal Board to read Mining Engineering at what is now Newcastle University. After a year he changed to Architecture. He divided his National Service between the RAF and working as a miner at the Rising Sun Colliery at Seaham Harbour. “He never lost his love of the colliery experience and his admiration for the men who worked underground,” his daughter, Rebecca Brown said. In later years he captured his experiences in an exceptional set of paintings of miners at work which were exhibited at Fairfield Mill near Sedbergh in 2012. 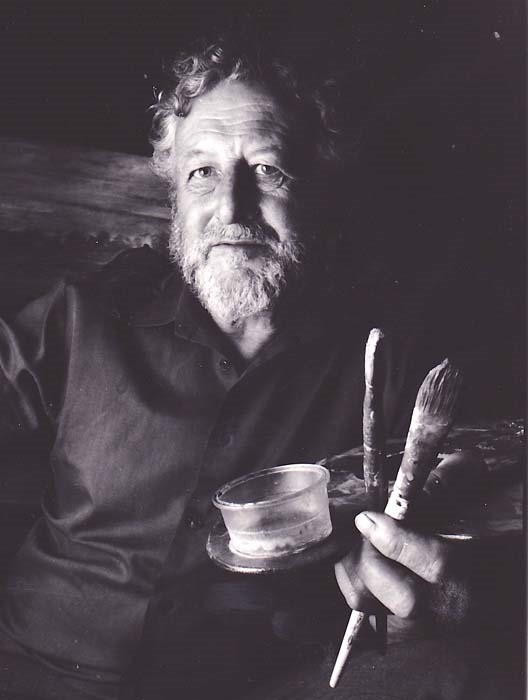 As an artist using pen and ink, watercolour and oils his work was exhibited at the Royal Academy Exhibitions on several occasions. He married Judith Kershaw in 1957 and, after a period travelling in Turkey studying Ottoman architecture, he set up his own architectural practice (the Architectural and Planning Partnership) in Horsham, West Sussex. Over the years the practice won numerous awards, expanded to having offices from Brighton and London to Baghdad and Mumbai and, during the 1980s, employed about 120 people. In the 1960s and 1970s, when most Local Authorities were destroying historic architecture, he was consistently involved in the conservation of historic buildings and took this expertise to the Middle East, where he both designed new buildings and conserved historic houses and mosques. He made annual explorations of remote and inaccessible desert regions in the Middle East and India recording and researching ancient churches and mosque, some of which have now been destroyed or damaged beyond recovery. Back in England he was also involved in preserving the vernacular buildings of Sussex and he became the founding architect of the Weald and Downland Open Air Museum at Singleton. He was fundamental to its development as one of the most important museums of vernacular architecture. One of the books he wrote was about such vernacular buildings. This led to a close friendship with surrealist artist Edward James on whose land the museum was site. He helped James to transform his house at West Dean into a college of teaching and conservation of the fine arts which it remains today. In the 1970s John was the joint founder of the Amberley Chalkpits Industrial History Museum in West Sussex (now the Amberley Museum and Heritage Centre). He was the chairman of the trustees in the 1980s and 1990s. His architectural and conservation advisory roles throughout the 1980s to the 2000s included with UNESCO, English Heritage, the Built Fabric Advisory Committee for Chichester Cathedral and Nominator for the Aga Khan Awards. He was also a Fellow of the Centre for Conservation Studies at the University of York, lectured at several British universities and supervised and examined a number of PhD theses in the field of historic buildings. When he retired to Wensleydale in the late 1990s he continued to work on architectural projects whilst also lecturing, writing and painting. He undertook several projects in Wensleydale including the internal modernisation of West Burton CofE School and advising on the conservation of Nappa Hall near Askrigg. He was a Member of the Royal Institute of British Architects, and a Fellow of the Royal Town Planning Institute, of the Society of Antiquaries and of the Royal Asiatic Society. Judith died on January 17 2019. She will be buried next to John in the Quaker burial ground in Bainbridge on Friday February 1 at 11am followed by a memorial meeting in the Meeting House at 11.30am. There will be refreshments afterwards in Sycamore Hall, Bainbridge, where she lived and was cared for and supported over the last year. Below: The family think this was John’s selfie, in the days before mobile phones.